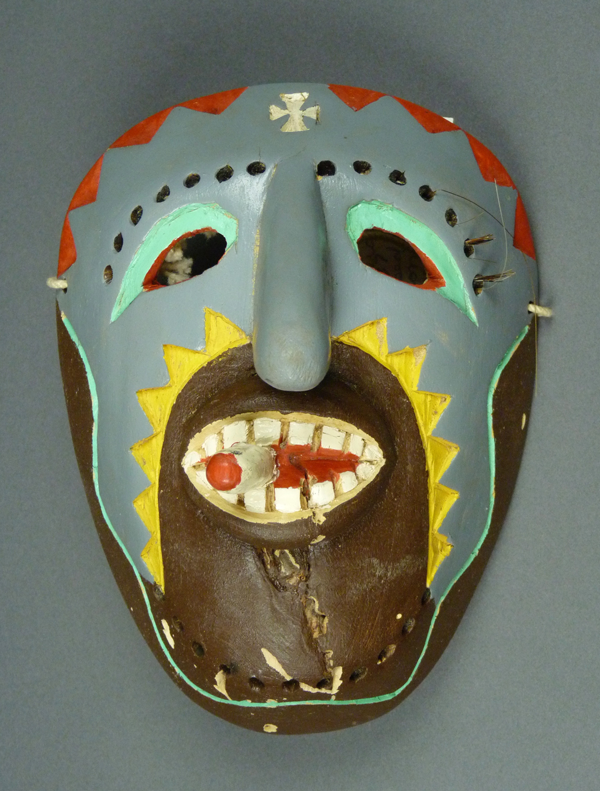 Last week we looked at four Rio Mayo Pascola masks that were carved by Héctor Francisco “Paco” Gámez in the 1980s and 90s, and then they were danced in Mayo fiestas for ten or twenty years, each possibly by just one dancer. 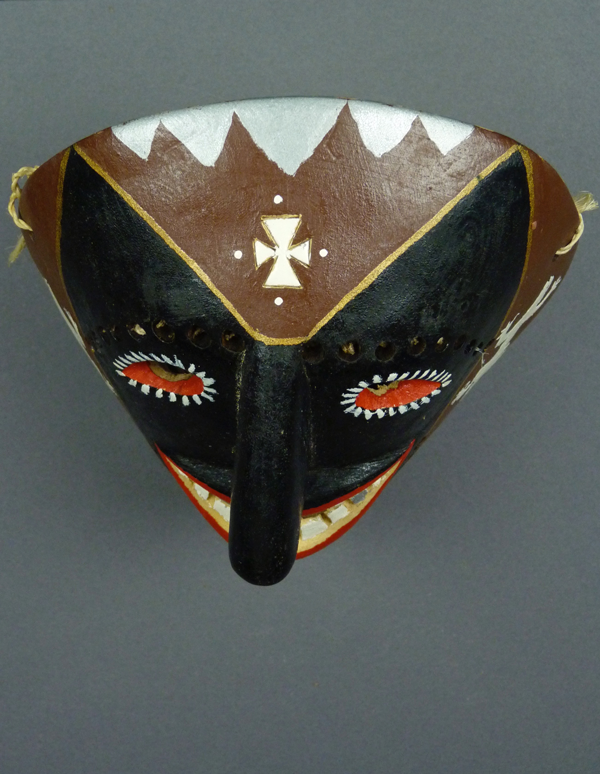 This week we will examine five Rio Mayo masks from a parallel tradition, that of made-for sale masks. These too were made by Francisco Gámez, but most of them in a more colorful and less traditional style. They were briefly danced, perhaps for several fiestas, by Pascola dancers in the Sinaloa Mayo towns. This set of five and five more in next week’s post were all collected during the late 1980s by Barney Burns and Mahina Drees, and I traveled west to Tucson to photograph their collection in 2016. 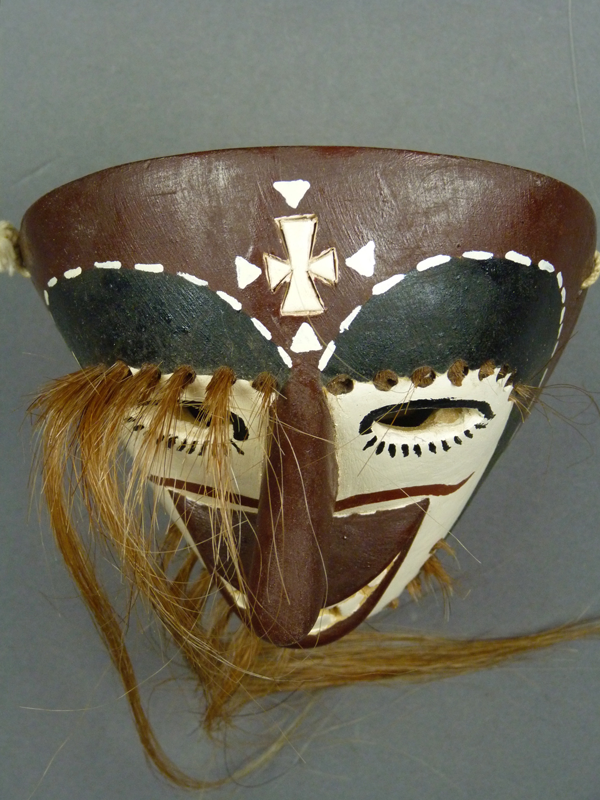 Here is a link to an earlier post where I told a little more about Barney and Mahina, in the context of discussion of Yoeme (Yaqui) Pascola masks. 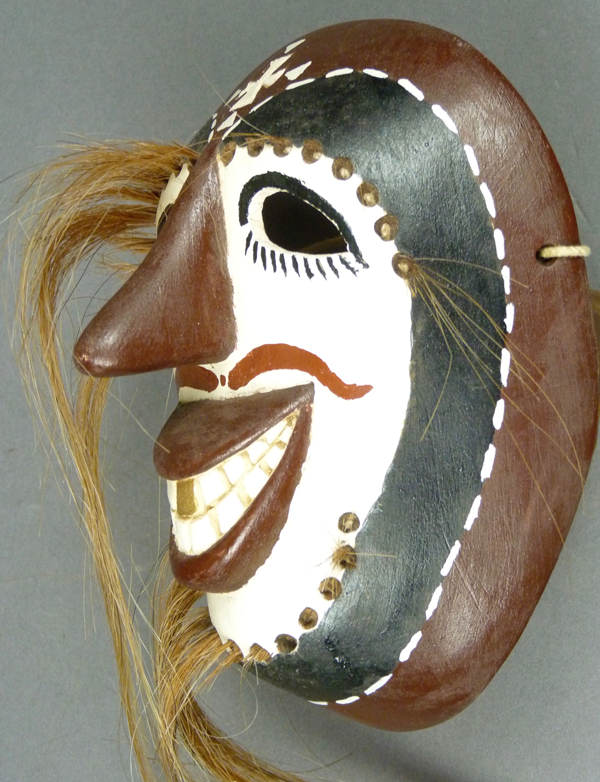 I should note that all ten of these masks originally had attached hair bundles to form the brows and beard, but insects have destroyed the hair on many of these masks. On the positive side, the absence of hair makes the details of these masks much easier to see. I didn’t measure any of these masks. 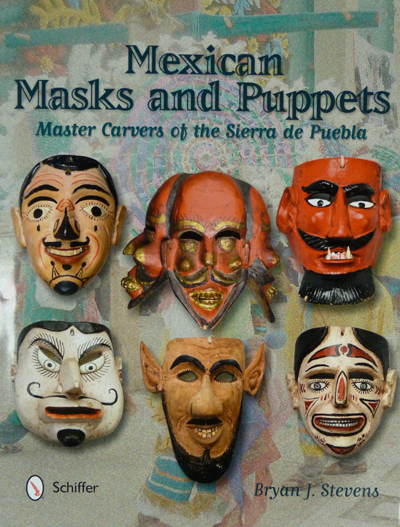 Also I should repeat an observation expressed by Mahina Drees, that some of these masks could have been carved by Serapio Gámez , the father of Francisco Gámez, and she was often uncertain whether a mask was carved by one or the other. 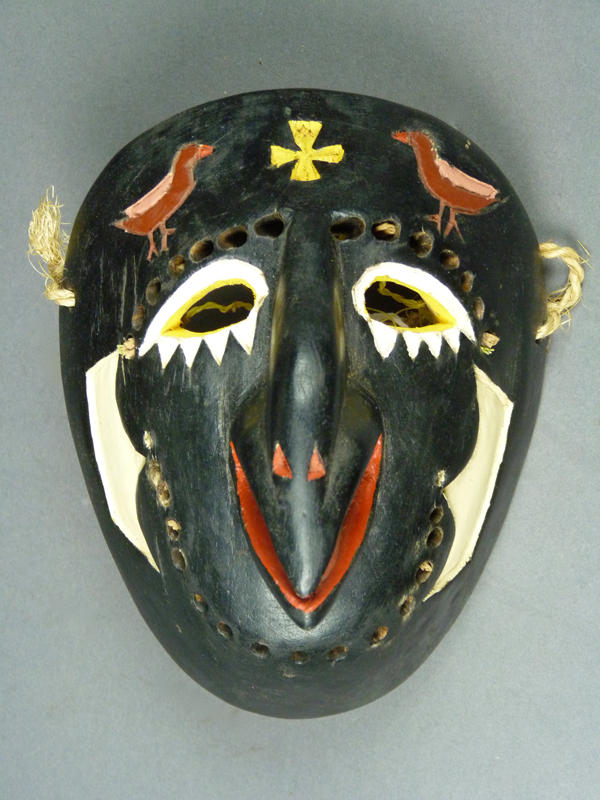 Here is the first of today’s group, a mask with the face of a bird, and with smaller birds flanking the forehead cross. 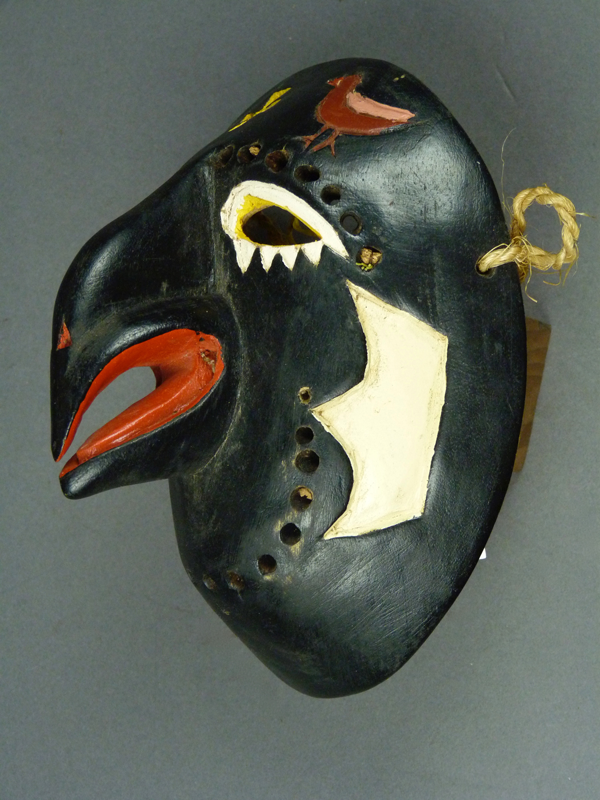 Bird-faced masks are actually very uncommon in the Rio Mayo villages, as human faced masks are the preferred style. 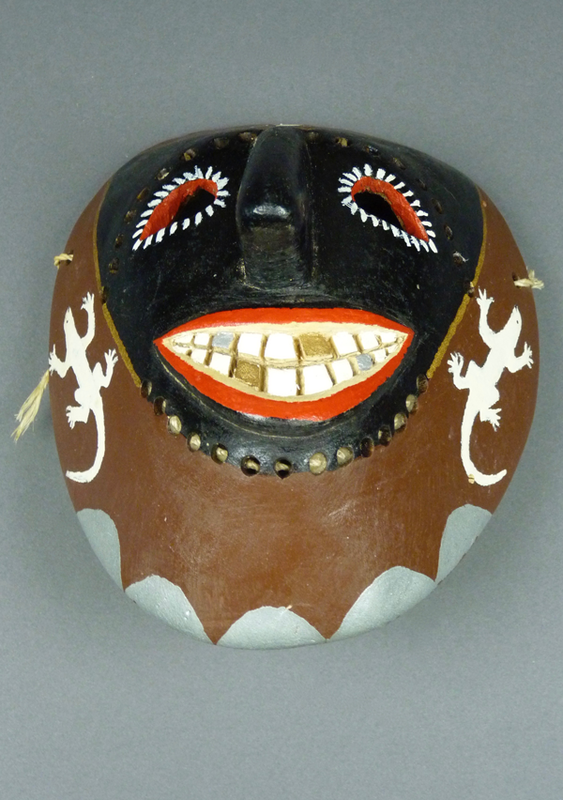 Apparently this mask was actually danced by a Mayo Pascola dancer in Sinaloa, where goat-faced masks are the most common style and bird faced masks are slightly less rare. The rest of today’s masks have human faces. This is quite playful, attractive, and very well carved, isn’t it, although absolutely non-traditional. Most birds have tongues, as does this one. 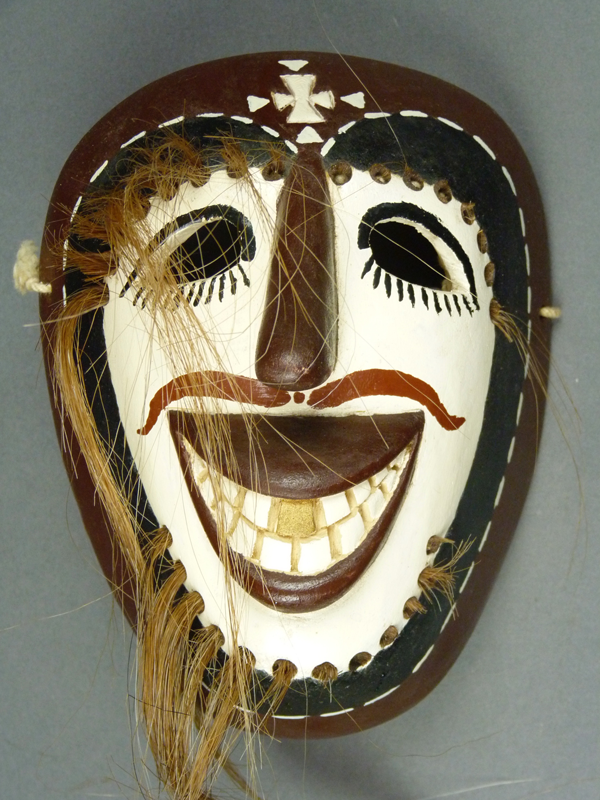 Many human Pascola masks also have prominent tongues, which underscore that they are clowns. 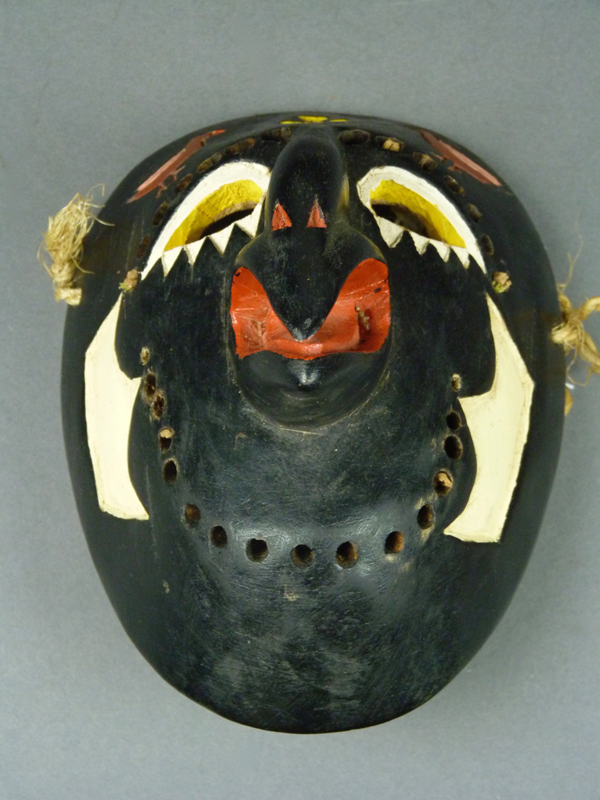 The beak of this mask is very well carved. There is another view of the tongue. There is the mildest of staining, as if this mask was only very lightly danced. The only unusual aspect of the second mask is the substitution of hearts for the usual wedges on the cheeks. 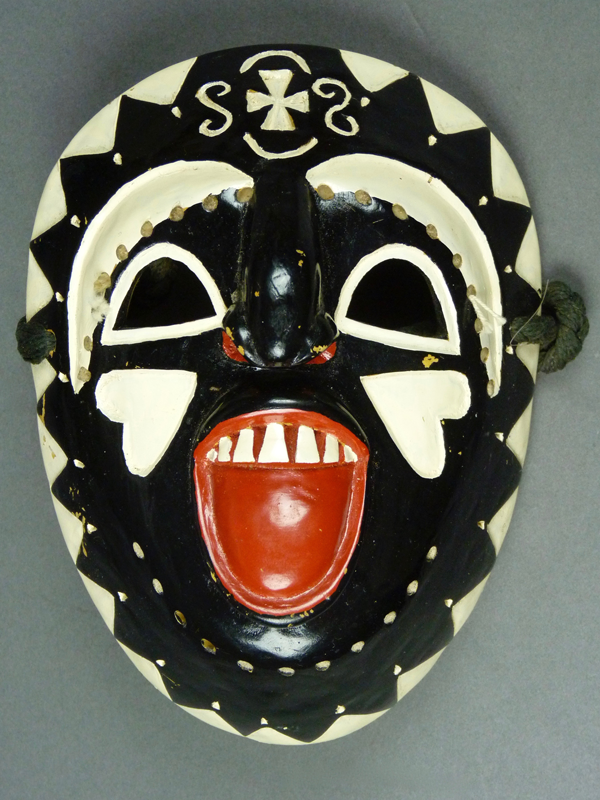 Otherwise it is quite similar to Francisco’s more traditional masks. It was collected in August, 1988. The nose, mouth, and tongue are all artfully carved. This rim design of dotted triangles seems to be one of Francisco’s favorites. 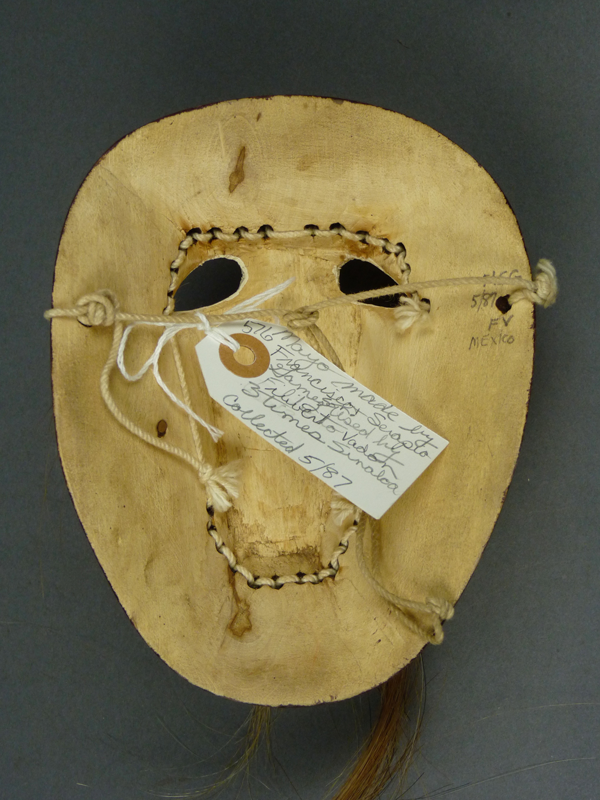 Barney and Mahina labeled the back of this mask in their usual fashion—” S. and F.G., 12-88, Mexico” (Serapio and Francisco Gámez). 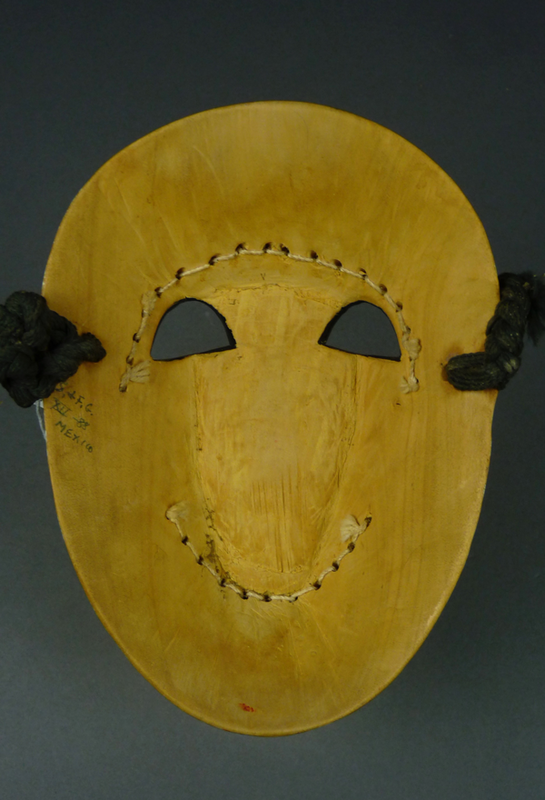 This mask has moderate staining from use. 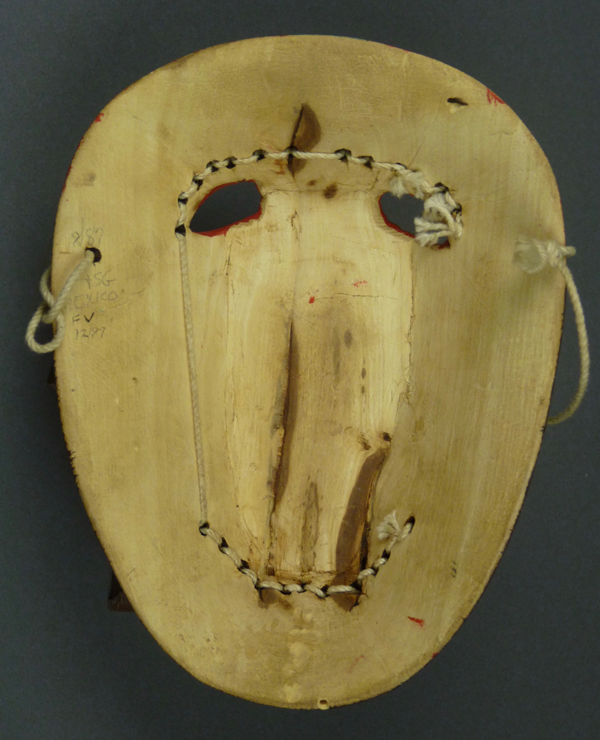 The third mask is not so different from one in last week’s post, and is only mildly experimental due to the white face. It was danced by Filberto Vadon during three fiestas, and collected in May, 1987. The hair is mostly gone but we can see loops of string that held the bundles, remaining in some of the holes. This dotted line is the only rim design. The forehead cross was outlined by inscribed lines, but not recessed. This is another from this group that was danced in Sinaloa. 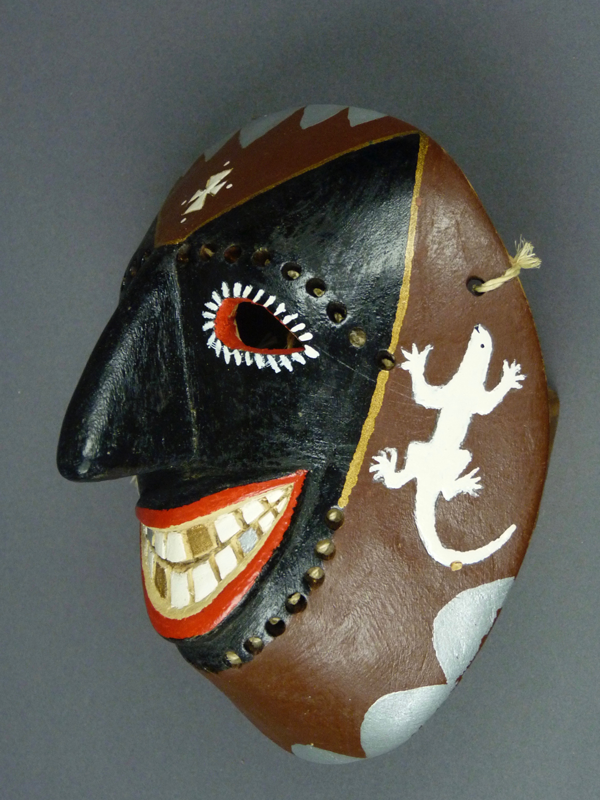 The fourth mask is solidly traditional in design, except that there are no wedges on the cheeks, and there are lizards along the edges like those found on Yoeme (Yaqui) masks. This mask is rather handsome. The documentation has been lost. The lizards were painted freehand. The forehead cross was outlined with inscribed lines, but not recessed. 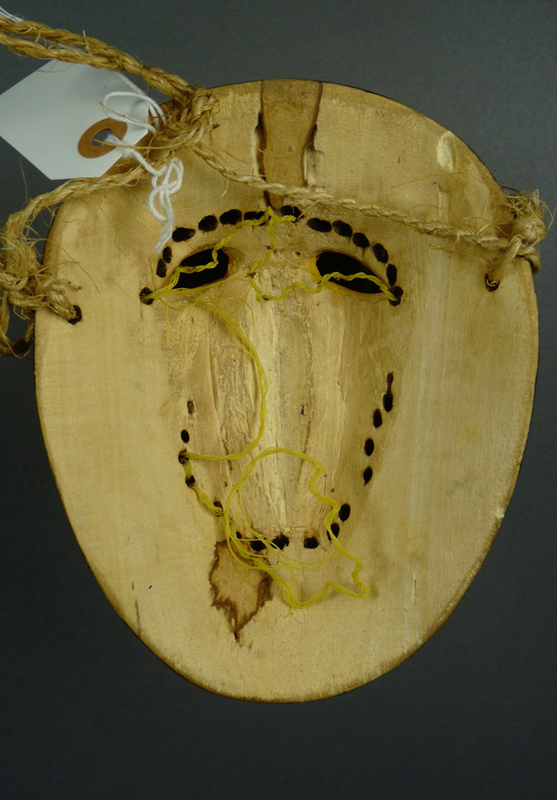 The loops of string that held the hair bundles are again easily seen on this mask. As usual for Francisco, there is no chin cross. Like most of the others, the back of this one is only lightly worn. 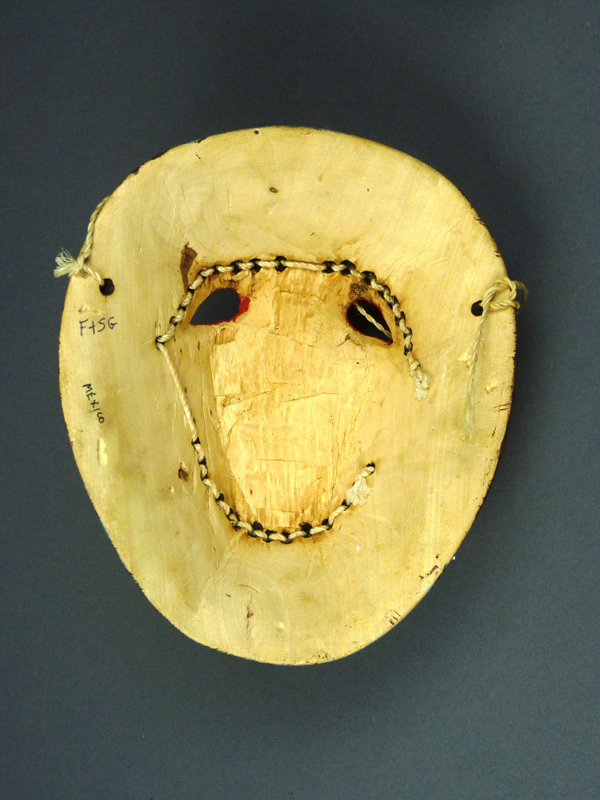 The last mask in today’s post is highly unusual, with this arc of light around the mouth, and the addition of a cigarette. It was carved in August of 1987, danced by Huebeito Vadon of Rincon de Aliso, Sinaloa, and collected in December 1988. 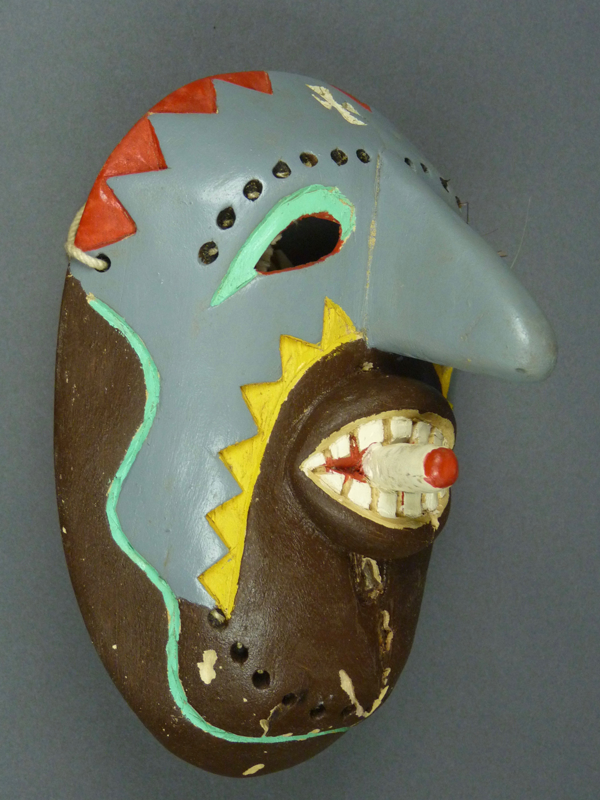 This mask was collected in 1988, a time when the use of brightly colored masks was common among Sonoran Yaqui mask makers, and evidently also among Mayo carvers. Barney Burns apparently supplied the paint, but I don’t believe that he dictated its use. Pascola dancers do smoke cigarettes, and they commonly hand out cigarettes to the audience during Yaqui and perhaps Mayo fiestas, but Pascola masks with cigarettes are rarely seen. 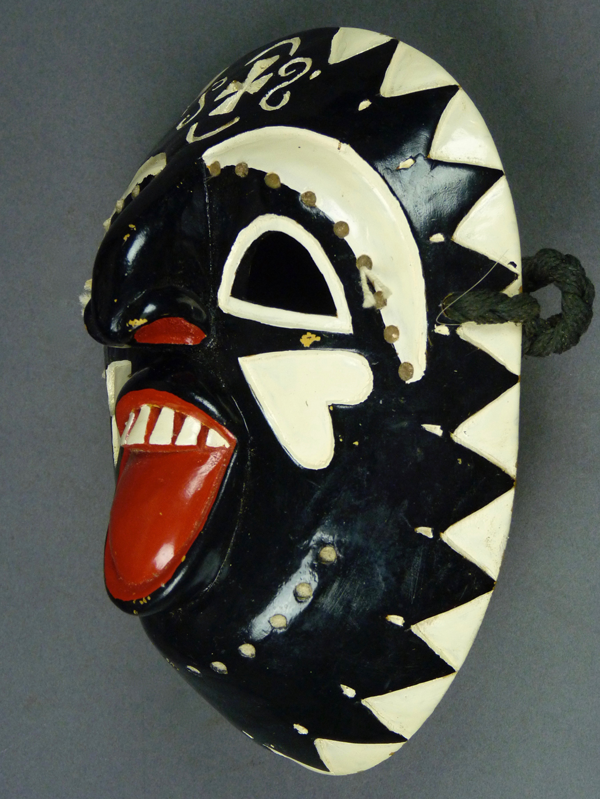 This mask would seem to be an imitation of a style from somewhere else in Mexico, such as the state of Guerrero. 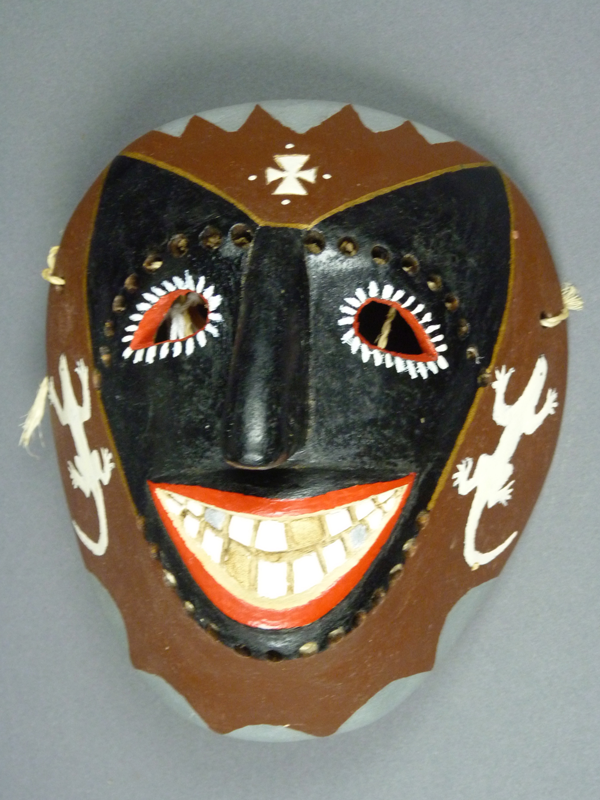 This mask was collected in December, 1987. 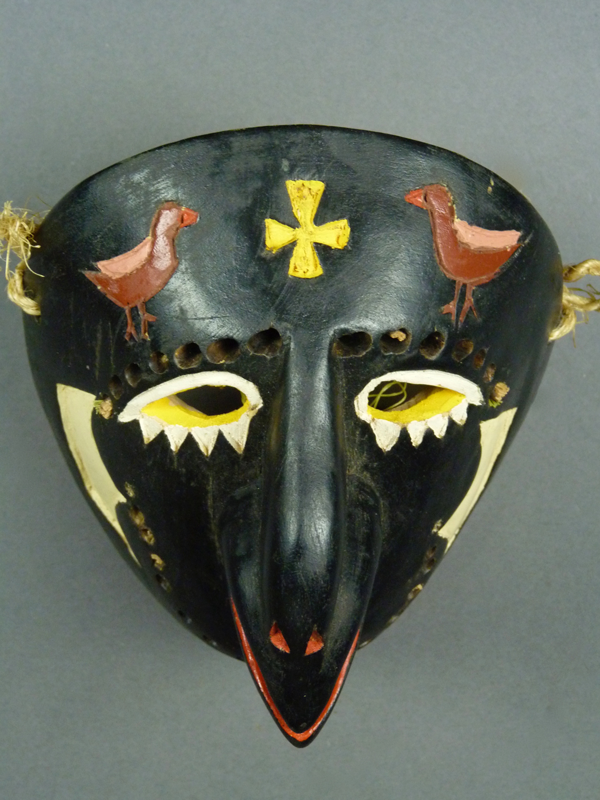 Next week we will examine five more masks by Franciso or Serapio Gámez from the collection of Barney Burns and Mahina Drees.